(CNSNews.com) - The federal government collected a record $1,665,484,000,000 in individual income taxes in calendar year 2018, according to the Monthly Treasury Statements for the year, which the Treasury finished publishing today with the belated release of the December statement. Calendar year 2018 was the first full tax year after President Donald Trump signed the Tax Cuts and Jobs Act on Dec. 22, 2017. 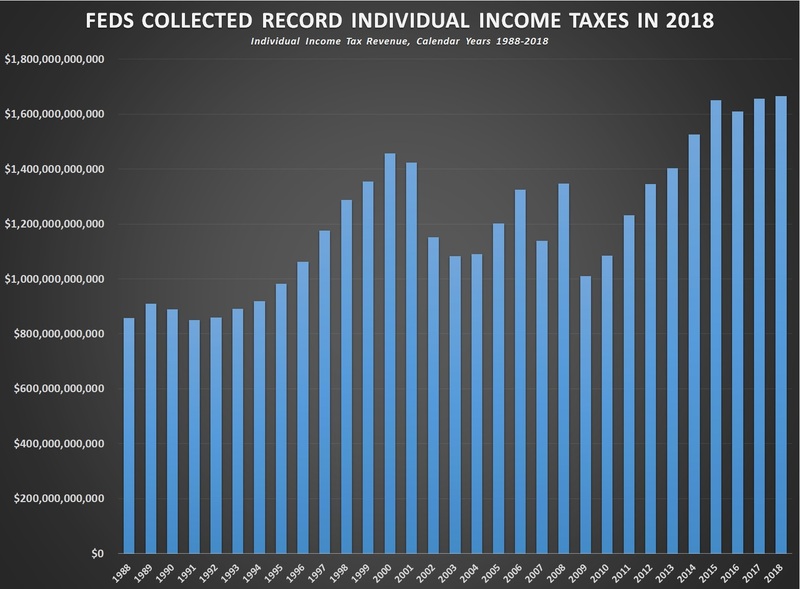 The previous calendar-year record for federal individual income tax revenues was in 2017, when the Treasury collected $1,656,171,550,000 in individual income taxes (in constant December 2018 dollars).